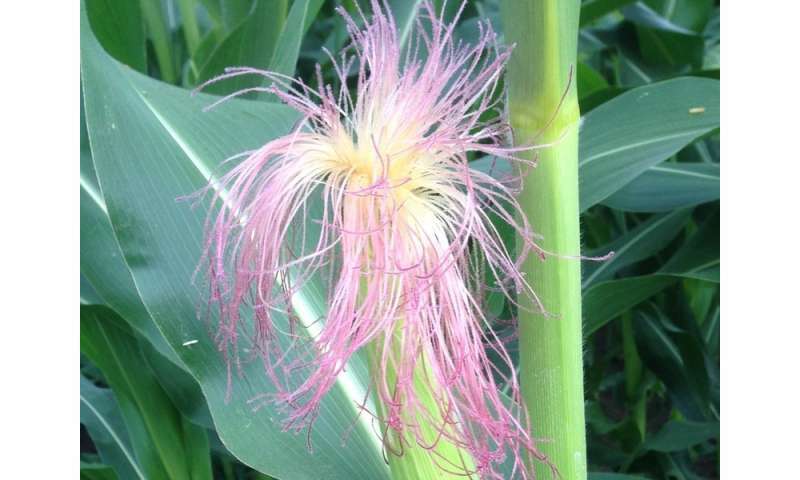 The US Corn Belt and European maize owe their existence to a historic change: the ability of this plant, originally from the tropics, to flower early enough to avoid winter. Research led by Cornell University in New York and the Max Planck Institute for Developmental Biology in Tuebingen, Germany reveals that indigenous people in the American southwest started the process of adapting maize to temperate growing seasons 4000 years ago and refined it over the following 2000 years. From this point onwards, it grew well enough to provide a reliable source of subsistence, mainly in stews and soups. Its nutritional content was also improved - the study finds that some of the archaeological samples had high beta-carotene yellow kernels, the earliest evidence of people eating yellow corn. The kernels were also likely to be of the popping variety. Farmers adapted it using the genetic diversity of domesticated varieties and wild grass relatives already present in Mexico. Over time, their selections meant that varieties became dominant for gene variants that drive early flowering, enabling them to cope with a shorter growing season and different day-lengths. This took millennia to accomplish. "We see incredible genetic variation in maize, but it took a long time to accumulate enough of the early flowering variants in the same plant to adapt to short growing seasons. A trait like flowering time is so complex that it involves changes to hundreds of genes," says Kelly Swarts from Cornell University and now at the Max Planck Institute for Developmental Biology. The samples reveal that the first maize successfully adapted to grow in a temperate climate was short, bushy and was likely a pop-type corn compared to modern varieties, or landraces. The authors find that it helped lead to all temperate US and European maize grown today. "Our findings show that because of its genetic diversity maize has the ability to adapt to just about anything that's thrown at it," says Swarts. "But we won't have the luxury of millennia to adapt maize to the environmental challenge of global warming and will need precision breeding, for example with genome-edited crops, to rapidly develop new varieties. Maintaining diversity in traditional maize landraces is also important. Precision breeding holds great promise, as long as we have a good understanding of what to target by studying the widest possible diversity." The scientists studied 15 maize samples extracted from fossilized maize cobs discovered in a dry cave shelter known as Turkey Pen in Utah's Grand Gulch canyon. "It was very exciting to carry out the first genetic analysis of the samples since their excavation in the 1970s," says Hernán Burbano from the Max Planck Institute for Developmental Biology. "The samples were very well-preserved in this dry environment. Although DNA fragments were short, in some samples up to 80 percent of the retrieved fragments were maize DNA with only a minor fraction of microbial origin. Consequently, it was possible to characterize genetic variation in each sample across the whole genome," he says. The authors gathered information from thousands of modern inbred maize varieties. To predict flowering in the long-dead archaeological samples, they compared the genomes of ancient and modern strains. To test whether their predictions were accurate, they developed populations from descendants of the ancient varieties and grew them to observe when they flowered. The validation showed that the initial predictions were highly accurate. Future studies of archaeobotanical crop samples could now use the same methods. "It wasn't thought possible to pinpoint a trait like flowering time from archaeological samples and it's only because of recent advances in both ancient and modern genomics that we've been able to generate these new insights," says Swarts.